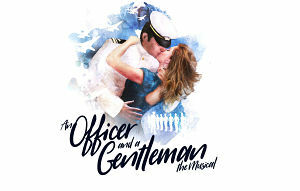 Next April is the UK premiere at Leicester Curve of the musical An Officer and a Gentleman based on the 1982 Oscar winning film starring Richard Gere and Debra Winger. Its soundtrack includes the hit song from the movie Up Where We Belong along with 80s classic anthems including Girls Just Want to Have Fun, Material Girl, Don’t Cry Out Loud , If You Believe in Love and Alone. The brand new version has been adapted directly from the film and created in collaboration with original screenwriter Douglas Day Stewart and Sharleen Cooper Cohen who wrote the book. Nikolai Foster, artistic director of Curve will direct and said: "When I first looked at the film of An Officer and a Gentleman I was genuinely blown away by this tender, poignant, intimate study of working class lives and incredible women who are looking to escape from the society they feel trapped within. There was a big musical version staged in Australia, but we knew that this wasn't going to be that. In a workshop at Curve we took the film script and felt the characters would best be expressed through '80s pop and rock music. We have used the intimacy and quiet poignancy of the movie and integrated the pop songs, making them a coherent part of it." 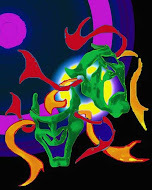 The musical is being produced by Jamie Wilson Productions (tours of Sister Act, Nativity! and Crazy For You) in Association with the Curve Theatre Leicester with choreography by Kate Prince (Into The Hoods, ZooNation) and musical supervision by Tony Award-winning Sarah Travis (Sweeney Todd, Sister Act). with set and costume design by Michael Taylor, lighting by Ben Cracknell and sound by Tom Marshall.